Payton is part of Zoya’s holiday 2013 collection. It’s a deep purple-burgundy with scattered holographic microglitter. From the Gwen Stefani collection, Love. Angel. Music. Baby. is a satin finish champagne gold. 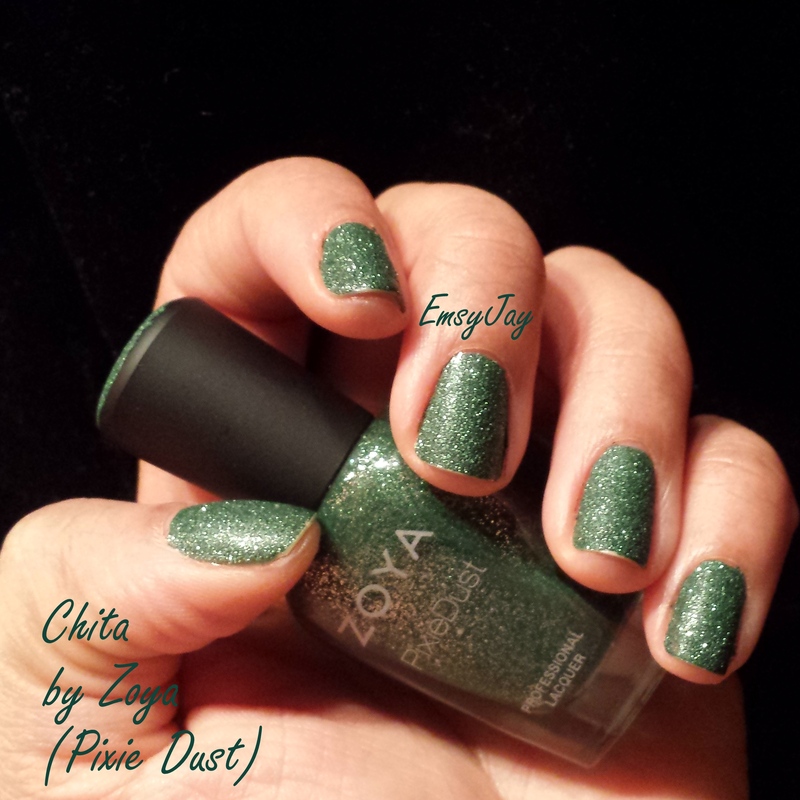 Chita is one of Zoya’s Pixie Dust polishes. It is a deep cool green matte textured polish with some silver sparkle. 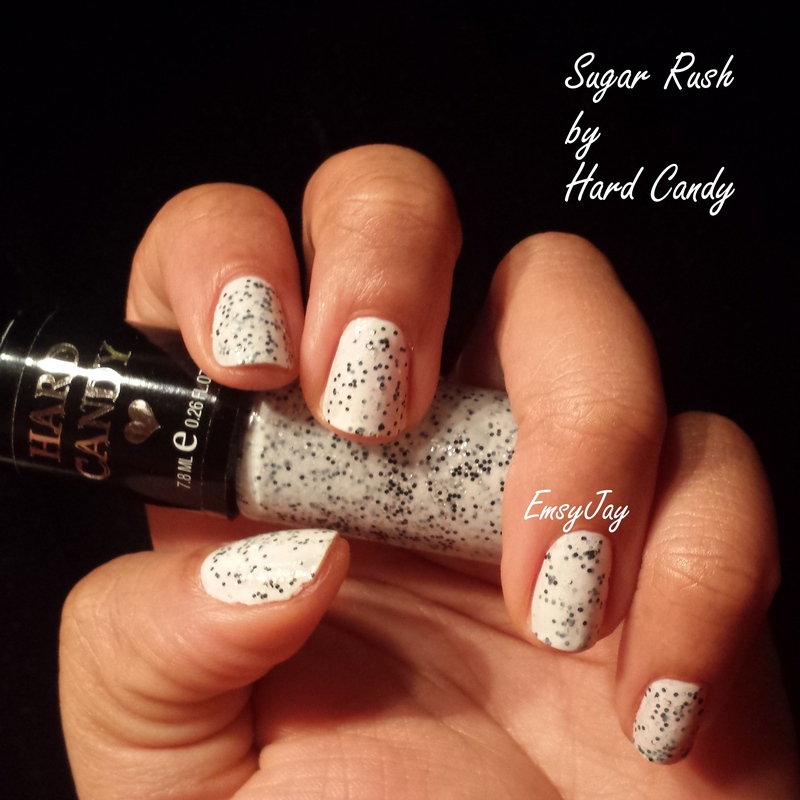 Sugar Rush, which looks like cookies and cream ice cream, is a white cream filled with white and black multi-sized non-sparkly glitters. Sugar Rush is a textured polish from Julie G’s Frosted Gumdrop collection of Spring 2013. Sugar Rush is a bright pink-orange with fine gold glitter. The finish, like the other Frosted Gumdrops and other recent textured polishes, is semi-matte. 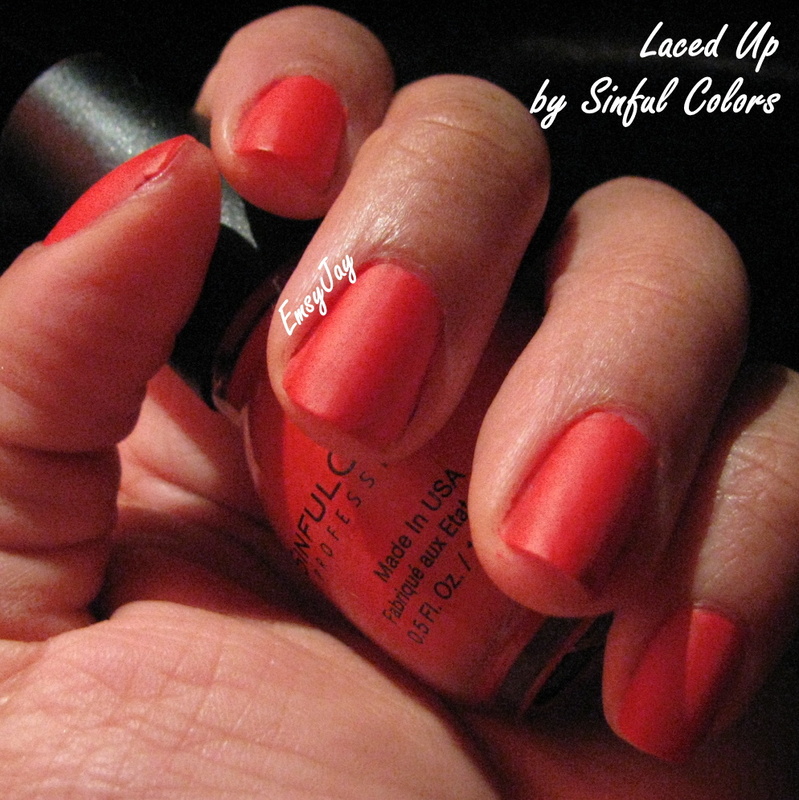 Laced Up comes from Sinful Colors’ Leather Luxe collection of 2013. 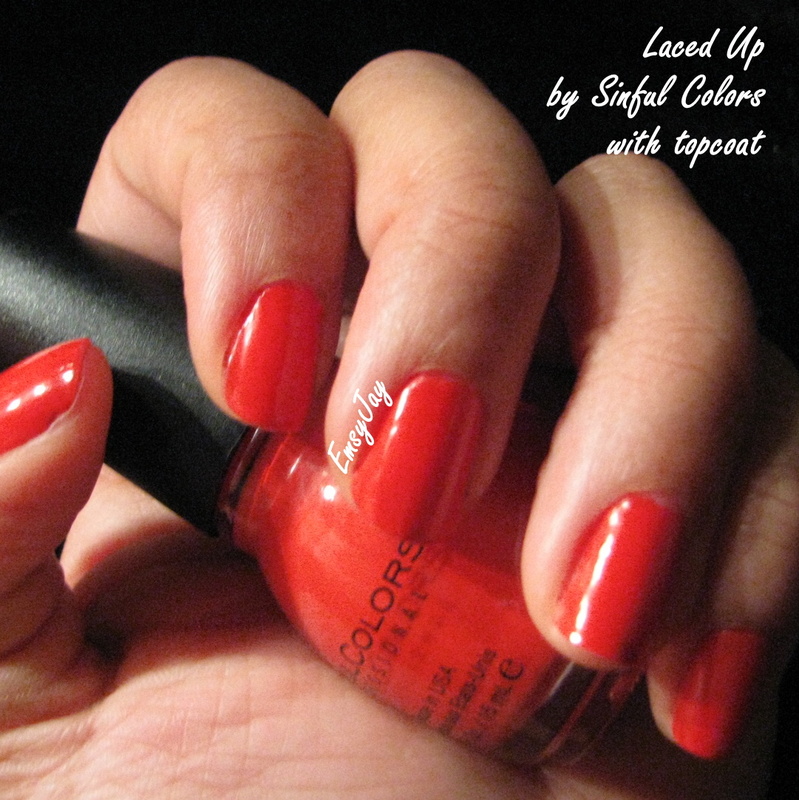 It is a very reddish orange with a semi-matte or “leather” finish. This polish applies very smoothly, and I prefer it with a topcoat because it takes such a flawless shine. They almost looked wet in person. 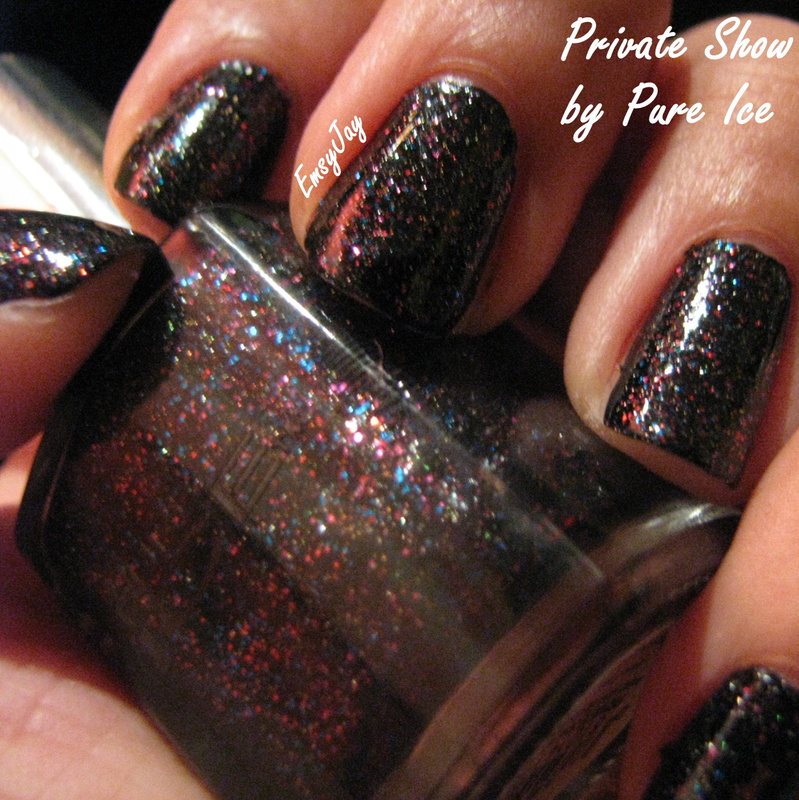 Private Show is a black base filled with fine glitter, ranging from pink to blue. I used one coat of Black Swift by Milani for opacity. 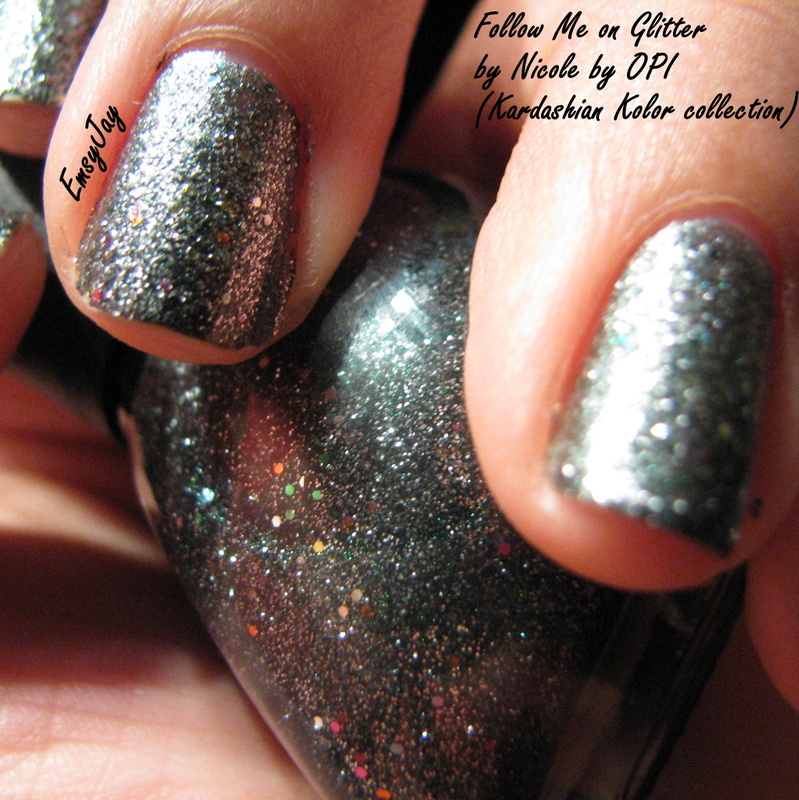 Follow Me on Glitter is a metallic gunmetal polish with multicolored glitter throughout. It comes from Nicole’s Kardashian Kolor collection, but I won’t hold that against it. I like the polish. Recently, my mother and I endeavored to purge a significant number of polishes from our collections. As usual, I circled her purged items like a vulture. 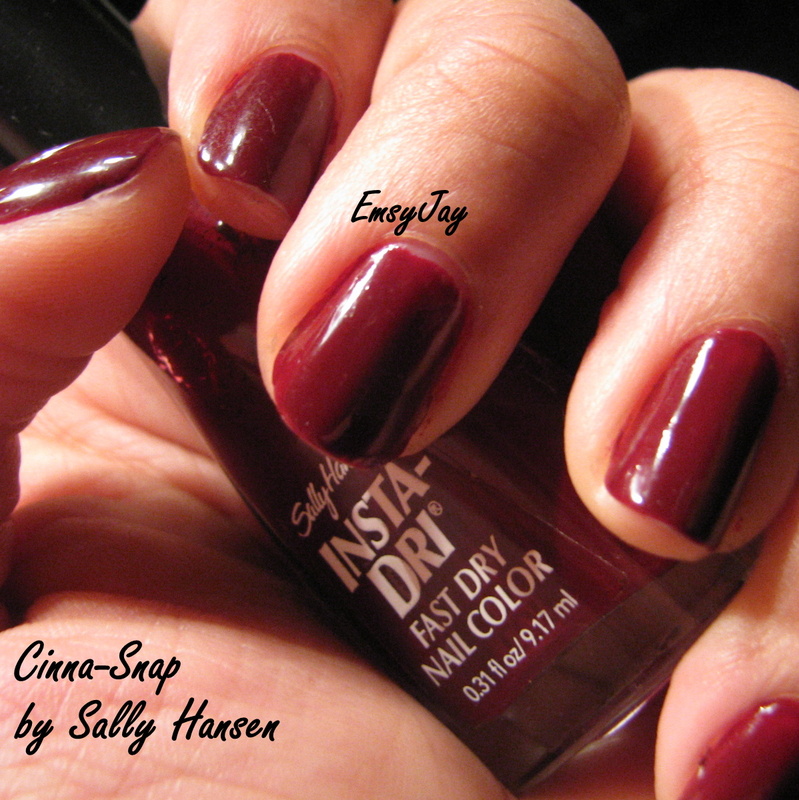 Sally Hansen Cinna-Snap (Insta-Dri) is one that I grabbed up. So much for purging, huh? The formula is thinner and more jelly-like than any Insta-Dri polishes I’ve used. Cinna-Snap looks darker and more vampy than the bottle color in most artificial lighting. But under my searing vanity lamp and in sunlight, it shows up as a deep, warm brownish burgundy. Midnight Glitz is the perfect companion to Zoya Storm because it contains slightly intense fine holographic glitter along with medium gold glitter and lots of fine black glitter. I was already wearing two coats of Zoya Storm with topcoat and just added Midnight Glitz and another topcoat for this day’s manicure. The gold glitters are more sparse than they seem in the bottle, so in the future I will use one coat of Storm and two or three coats of Midnight Glitz for full effect.